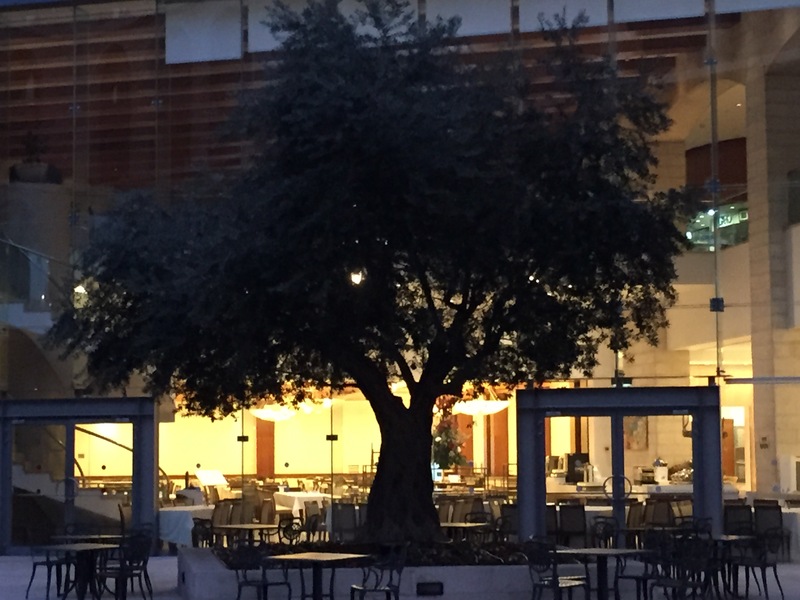 Olive Tree at Sunrise in the courtyard at the Grand Court Hotel in Jerusalem. Facebook. Went back to the room, Emile still sleeping. Checked Facebook and email, then went to breakfast. Emile met me there. Had omelet, salad, and fruit for breakfast. Juices were good and fresh. Wrote some in journal and watched people. There seems to be people from all over the world here, Russians, Hebrews, Americans, Orientals, and many other nationalities. Very interesting to see the variety of people. 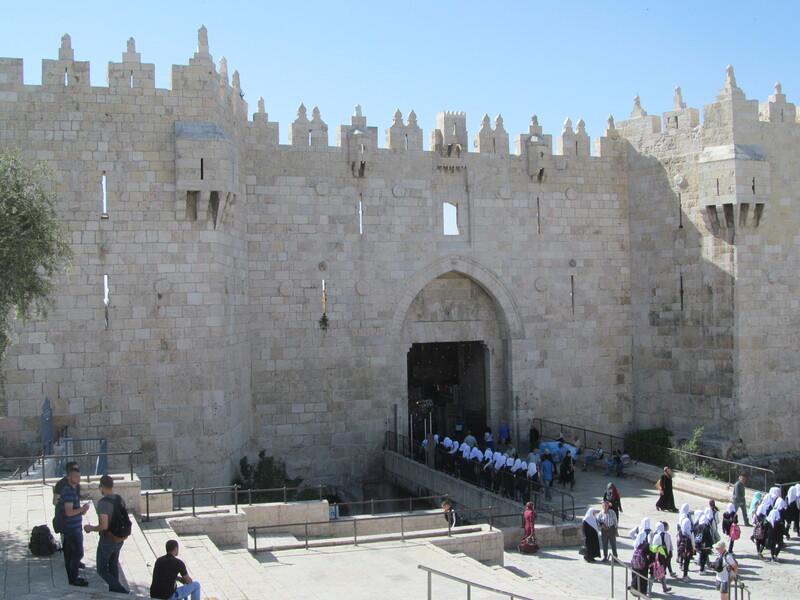 The Damascus Gate into the Old City of Jerusalem. 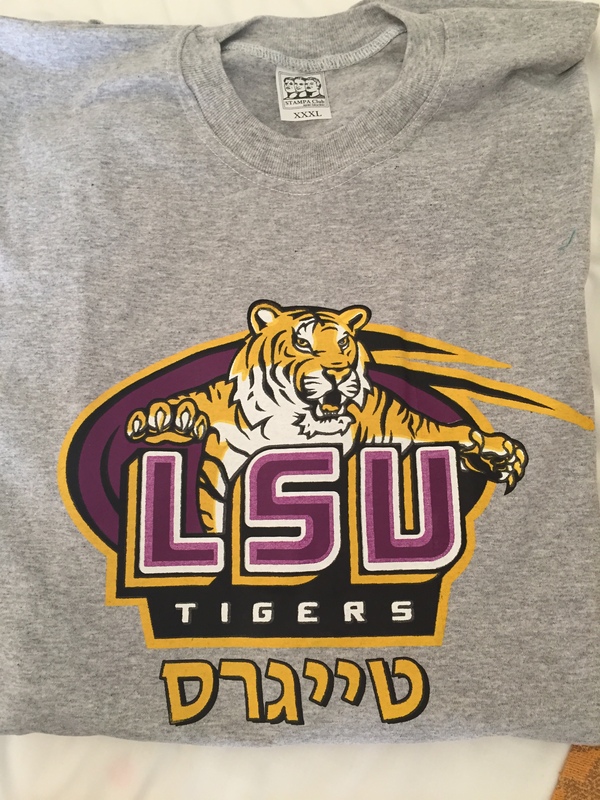 LSU shirt from the Jerusalem bazaar. The Hebrew reads “Tigers”. sturdy and thick. Walked through the bazaar and bought a falafel. It was good- almost like a flavored cornbread mixed with vegetables then stuffed in a pita. Spent more time in the bazaar but only bought the Hebrew LSU shirt. Walked out the New Gate, then in through the Jaffa Gate. Exchanged some money then went to the church of the Holy Sepulcher. 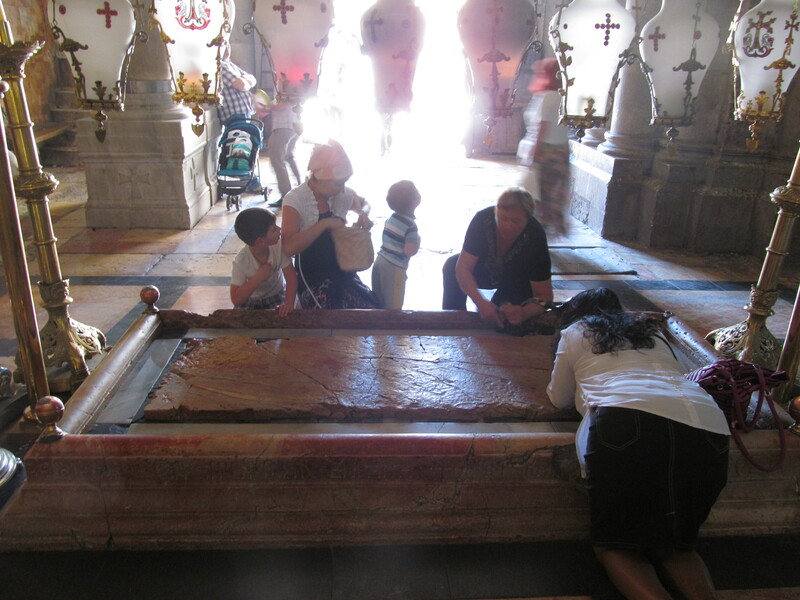 The Stone of Unction at the entry of the Church of the Holy Sepulcher. Hand carved tomb from Herodian Era inside the church of the Holy Sepulcher. 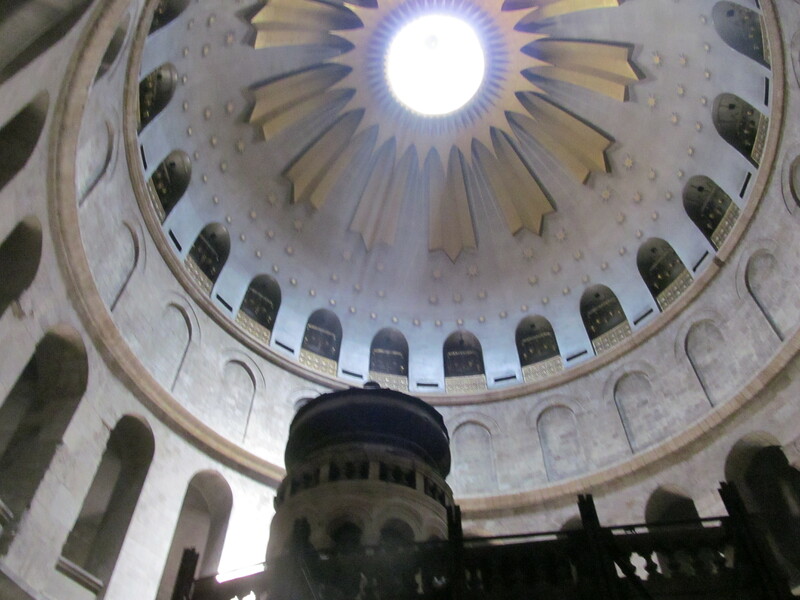 Sunlight streams into the Church of the Holy Sepulcher over the tomb of Jesus. 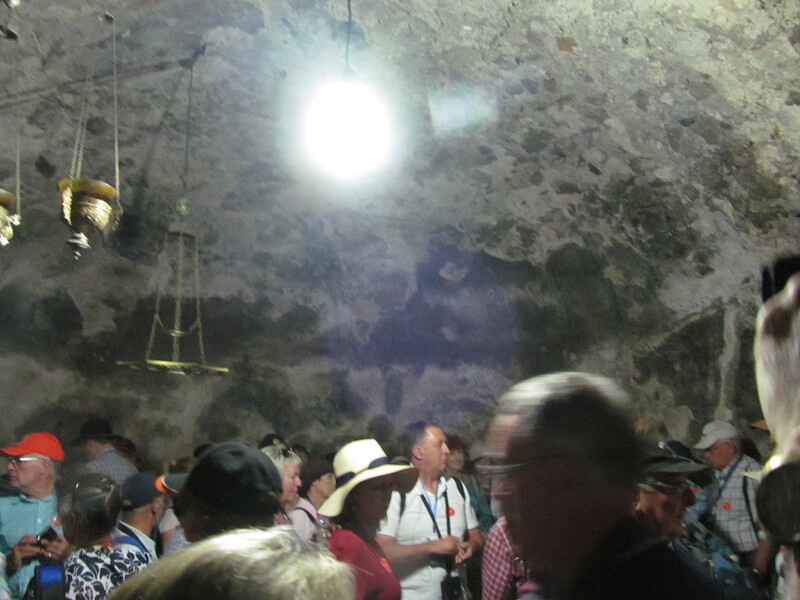 of how many people follow Jesus- so many different nationalities and languages were there. 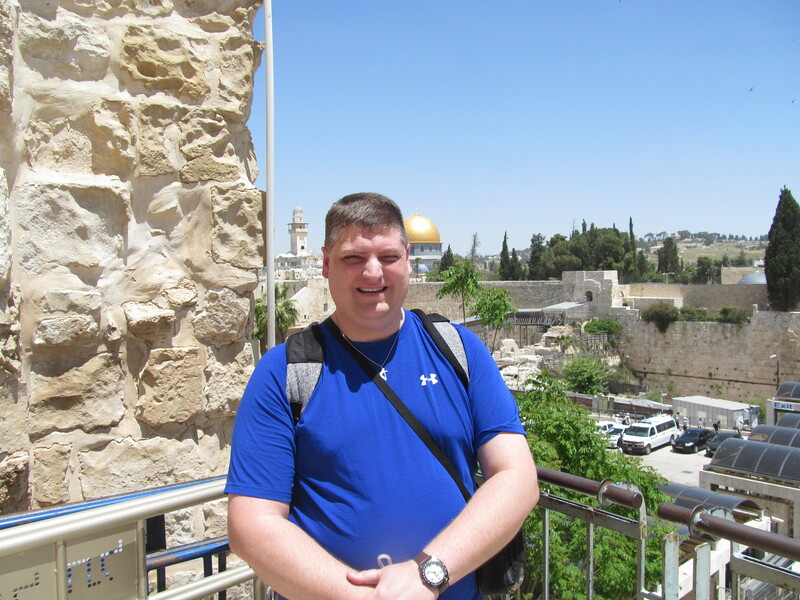 Me with the Western Wall and the Dome of the Rock in the background. 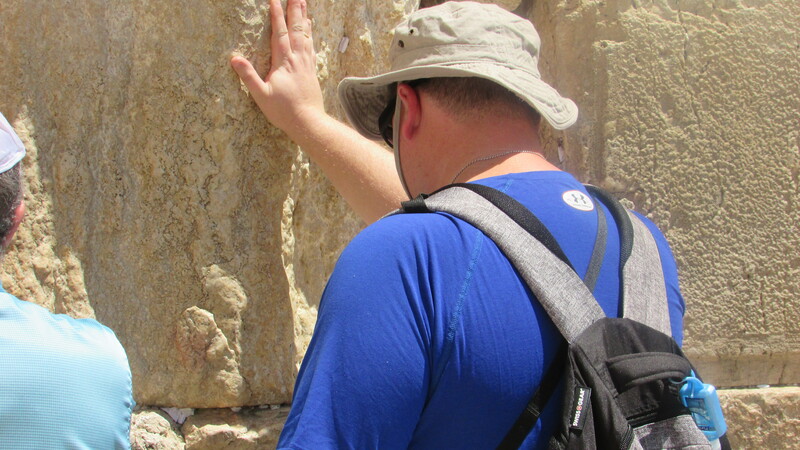 Saying a prayer at the Western (Wailing) Wall of the Temple mount. 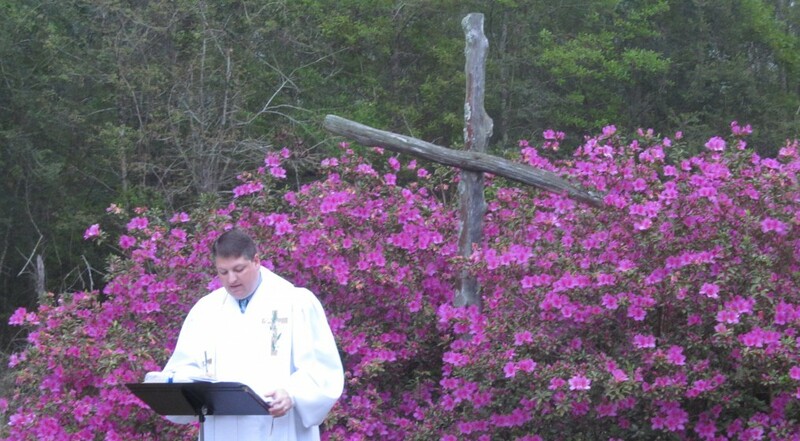 holy, reverent, respectful. But it was very hot, over 90 degrees F, in the bright sun, so we didn’t stay too long. Rested a bit, then walked back passing some of the stations of the cross on the Via Dolorosa. The stations are quite understated, just a roman numeral as a marker. Got back to the room about 3 PM. Tired. Hands and feet swollen. Rested until 6, then ate supper about 6:30. Wandered down to corner store to get drinks for Emile. Sat in lobby and talked and people watched until about 9. Got in bed about 10 PM. Busy day today with the first day of touring coming tomorrow, April 30. Weather was hot today, over 90 degrees, especially hot and sunny at the Western Wall. I have enjoyed reading your writings about your trip. What is your schedule for visiting in Pasadena / Friendswood next week?